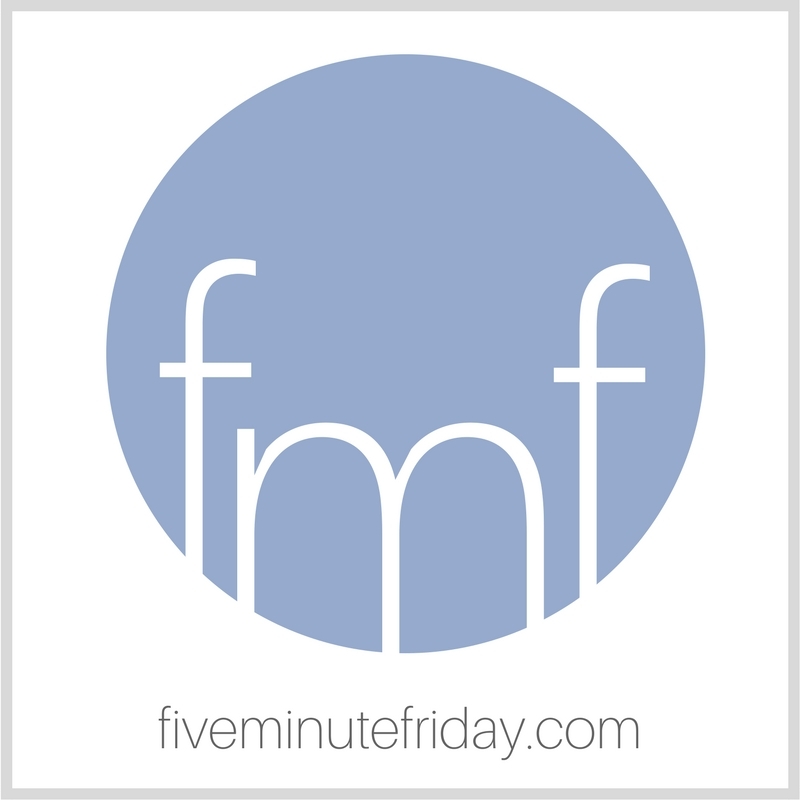 Welcome to this week’s edition of the Five Minute Friday blog link-up. Every week I share a one word writing prompt and invite bloggers and writers like you to participate in a five minute free write. Sound like fun? Learn more here. This week’s @5minutefriday writing prompt is: BALANCE . . . Come write with us! A couple of weeks ago, I woke up early in the morning and felt as if something was blocking my right ear. I went to the bathroom and got back in bed, making sure to lay with the right side of my face on the pillow, hoping that whatever was bothering me would disappear from the sheer force of gravity. I laid like that for about twenty minutes until I had to get up, and the blockage was still there. My ear bothered me all morning, even to the point where it was affecting my work. I pulled on it and pressed it and wiggled it to no avail. I even tried tilting my head and jumping on one foot, like my friend told me to do when we were kids whenever I got water in my ear while swimming. The blocked feeling in my ear not only made it harder to hear, but it actually made me feel off balance. I wasn’t dizzy, I just didn’t feel very stable. After a few hours of mild discomfort, as my frustration levels continued to rise, I became suddenly aware of my own frailty. Just one blocked ear can make my whole body feel off balance and out of whack. In that moment, I realized my weakness before God. He balances the entire universe in the palm of His hand and nothing ever gets off kilter under His control. Psst . . . We’re having a Special Edition Link-up over at my personal website, katemotaung.com, starting Monday, December 17th. Start compiling your list and get ready to join the link-up at katemotaung.com anytime between December 17-22. Also, here’s the plan for the next several weeks. Please note that I take two weeks off every year over Christmas. My next book releases in just over a month! I co-authored this one with the dear Shannon Popkin, and I had the Five Minute Friday community in mind throughout the entire writing process. This one is for anyone who has ever struggled with the issue of platform building as a Christian. It’s called Influence: Building a Platform that Elevates Jesus (Not Me). If you’d like to help us get this little book off the ground by purchasing an early copy and agreeing to leave an Amazon review before January 31st, we’ll send you a second copy of the book for free. Here’s the catch: We only have ten spots left for this offer! If you’re up for sharing your own five minute free write on this week’s prompt, you can either share it in the comments below or post it to your blog and link up using the blue button below. Have fun! Got a tropical bug in my ear once. That sucked. My mate dripped in some bug juice and the little critter decamped. So, how did you solve the ear problem? I’m curious. I hope you are i100% better now. Inner ear problems cause more trouble than anyone can imagine. As with most talks during Christmas, this Christmas dinner speaker admonished all the mommies in the room to, “Relax! Let the shopping and cooking go and focus on Jesus!” With five kiddos in my house that was such a joke! I wanted that peace and RELAXATION but I knew it could NEVER happen. Fast forward 20 years, now the speaker at my women’s group is talking about, “Fill your days with loving activity for others.” Different group—different season—same challenge: FOCUS. Although most of my friends have grown children (this is not the same as empty nest!) they still complain of lack of time to spend in prayer and Bible study. Back 20 years. I remember hearing that woman at that Christmas dinner, and seeing that despite the fact that she had twins and lived on a farm, she found time to spend with Jesus. I didn’t know how but I prayed that God would make it happen the next day. The next day I only had 26 items on my “to do” list before 6 p.m. when we had to attend another Christmas party. After putting the third load of laundry in my washing machine I turned to run out the door to make the cookies to take to the party and… the door was locked. No joke. I banged on the door but… I had an OLD WASHER that sounded like a 747 was landing in the laundry room. The kids were upstairs doing their chores and yep. I was stuck. My personality was to kick and claw my way out, but instead… I sat down on laundry piles 4-10 and … laughed. REALLY. OUT LOUD. I don’t know; maybe I’m really not balanced, whatever that means. Well educated. . .culturally literate. . .? It’s just that when I go to the cleaners and their is no one there (again) I think, man – what a bummer! And, then there are the times when someone has used the last roll of toilet paper without bothering to notify the “housekeeper”. Can you believe, I even have to put up with complaints about this and that and the-other-thing? One, really disappointing thing is I have the cheapest looking hub caps on my car! I mean, come on – that’s like being deprived, isn’t it? Do you know, that I had to wait o-v-e-r a year to upgrade my cell phone? That is just unacceptable, right? All of the above mentioned crises, are not crises. They are all 1st world problems. So what? I have to come home without my slacks? Aren’t there more in the closet? So what? I have to use tissues instead of toilet paper? So what? My phone isn’t the latest. . .my hubcaps look cheap. . .
. . .you name it: all the copies of the reading group book are already checked out of the library; I can’t get an appointment for a haircut until two weeks from now. . .seriously, the store was out of my brand of laundry detergent. . .
Well, now that you remind me – I guess I don’t have it so bad! Pretty amazing how he manages to do that. Planets are never crashing into other planets or the sun, nor the moon. Thanks for the reminder! Blessings to you!